I just can't believe it. 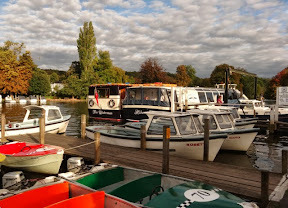 Having spent the past two hours writing my blog -and uploading a number of photographs - when it was finished and I clicked 'Publish now' everything just disappeared!!! Where on earth did it go to? As I compiled it on my iPad it must be somewhere but I can't find any way to retrieve it. So if anyone knows the answer I'd really like to know. Yes, my young friend, I saved it every so often as I wrote it. So I'll just have to start all over again. 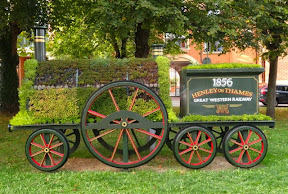 Last week Henley held its annual Literary Festival. More really top class authors were giving talks, and the venues were excellent. From beautiful Bix Manor to the iconic Kenton Theatre the Festival seemed to be everywhere. On Wednesday morning I went to hear the current Countess of Carnarvon talk about her book at Bix Manor. 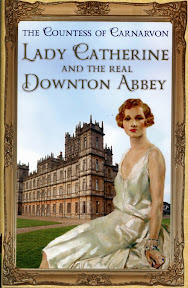 Lady Catherine was a beautiful American heiress who married the Earl of Porchester in 1920 and came to live in Highclere Castle. Which of course is where Downton Abbey is filmed. When Downton Abbey was first filmed the current Countess remarked that at a dinner scene the cutlery had been laid out incorrectly. So at the end of her, very interesting, talk she was surprised to see the owner of Bix Manor, dressed as a butler, approach her carrying a tray. Upon it was a selection of cutlery which he proceeded to lay out on a small table. The Countess then instructed him - in a jovial way - how to position the cutlery. This little charade ended with him offering the Countess a glass of champagne. Which she graciously accepted. Dame Stella Rimington spoke of the struggles she went through juggling her career and bringing up a family. As Director General of MI5 between 1992 and 1996 I'm sure in her new career as a thriller writer she can call on much of her knowledge to furnish exciting plots for her stories. On Saturday morning my young friend and I went to Christchurch in Henley to hear my favourite TV presenter talk about her latest book 'A Very British Murder' Lucy Worsley it is. She has a new hairstyle and with her elfin-like face and wicked smile gave a fascinating talk. She also happens to be the chief curator of the Historic Royal Palaces. The TV series about our fascination with murder is currently being broadcast at the moment. 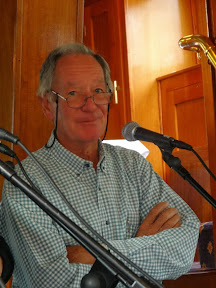 Later in the afternoon Val joined us on the Waterman - one of Hobbs river cruisers - for poetry readings while we cruised up and down the river for an hour. Here are some of the readers. One of them was the former BBC newscaster Michael Buerk. 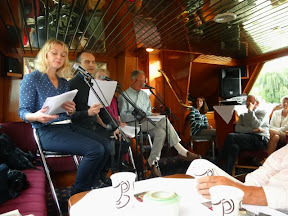 And here is the view of some of the audience enjoying the readings from the comfort of the boat's cabin. And this was the scene by the moorings as we left the Waterman. As we walked back to our car this floral tribute to our local train station was pointed out to me. Can't believe I've never noticed it before. On Monday I caught the early train to London where I was to help select the entries to the Royal Society of Miniature Painters annual exhibition at the Mall Galleries. Also I chose the winner of my prize for the best portrait. The standard was very high this year, and it was gratifying to see how many really accomplished works were submitted by non-members. In fact I have awarded the 'Mundy Sovereign' to a non-member rather than one of the Members or Associate Members. As I'd parked my car near Shiplake station I called in to see friends Vince and Annie Hill for a drink when I got home in the evening. Most of this week has been spent drawing two pencil portraits. As they will be Christmas presents I'd better not show them on my blog yet. So much of my time lately has been preparing all the many elements for my upcoming retrospective exhibition at the River and Rowing Museum. Having spent many hundreds of hours and several thousand pounds so far I hope it will all be worth it. My young friend has used her superior computer knowledge in preparing my catalogue for the printers and for other items at the venue. I'm very pleased with the first proofs I saw when I visited the printers in Kidlington on Friday morning. Also on Friday I continued with my latest bronze portrait head. The clay part is almost finished but I'm having so many problems with the teeth. Hopefully I can solve this tomorrow so I can get on with the casting and bronzing stage. To end this week's blog I have an apology to make. 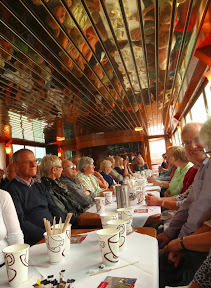 In a recent blog - 'Glorious Boating Weather' - I attributed a poem about a husband's take on 'Fifty Shades of Grey' to Pam Ayers. I'd been told it was by her but in fact it was written by John Summers who very politely pointed my error. Sorry John. It was a really good poem - I laughed out loud.